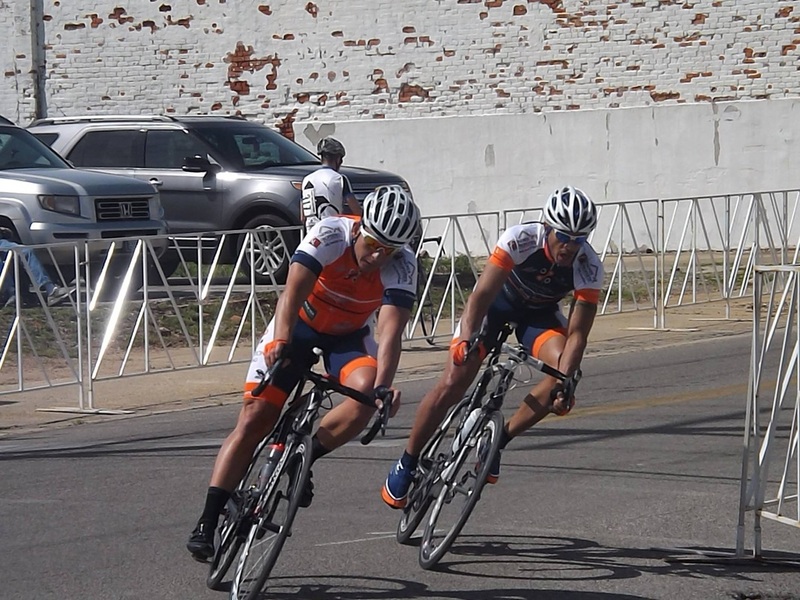 The Southern Crescent Cycling / Evolution team had a good weekend at the 2014 Macon Cycling Classic Criterium on Saturday, April 12th. CAT 3= TAYLOR DUNN HAD A GREAT RACE AND WON SEVERAL PRIME LAPS AND CAME IN 15TH ( GREAT COME BACK FOR TAYLOR AFTER A LONG LAYOVER. AWESOME TAYLOR IS BACK!!!! CAT 3= HEBER HAD GREAT ATTACKS AND WENT FOR SEVERAL SPRINT LAPS AS WELL AS LOOKING VERY GOOD. HEBER CAME IN 29TH. CAT 5= SHANE HAD A GREAT RACE OVER THE WEEKEND. HE PARTICIPATED IN SEVERAL ATTACKS AND WAS INVOLVED VERY MUCH IN THE RACE ALL DAY LONG. SHANE CAME IN 7TH. CONGRATS TO SHANE, HE LOOKED VERY STRONG!!! Results from the Sunny King Criterium race in Anniston, Alabama on April 5th have been posted on the USA Cycling website. We're proud of you guys! 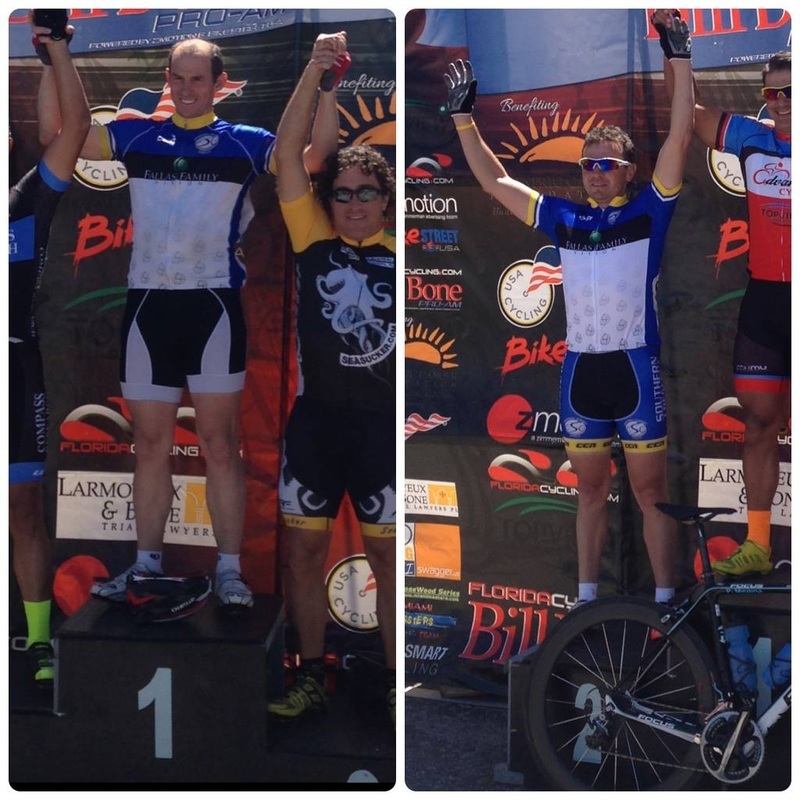 Congrats to the whole Southern Crescent Cycling race team for some great results from this weekend. The March 29th and 30th weekend had the Southern crescent Cycling race team split between two states and three events. We had road racers in Tampa, Florida and Gainesville, Georgia and a mountain biker in Georgia as well. At the Gasparilla Criterium (website) in Tampa, FL new member Daniel Baccino (Picture on the far left) for placing first on the cat 4/5 masters division. Lino Asiatico Jr. placed 9th. Regular Cat 4 division Daniel also placed third. Leo Marquez (Picture on the near left) placed second on the masters 123. Marcelo placed 17th. Jorge flatted out but did his job to support the team until he was unable. Kenny and Heber placed in the top 30. They both helped support the team. Also congratulations to Shane Mathews and Brian Steele for their races in Gainesville, GA at the 3rd Annual Gainesville Gran Prix (website). Both of these guys had a very dangerous race under rain and wind where they placed 11th and 14th on Saturday. Joey Stanley placed 1st at the (results) South Eastern Regional Championship (S.E.R.C.) MTB competition in Conyers, Georgia in the White Wave Class Gm2 50 race . Anyone interested in racing, please contact Jorge Collado at one of our weekday rides from either the Epic or Trek bike shops in McDonough. 2014 Union City Mayor's Race, etc. The 2014 Union City Mayor's Race was on March 15th and 16th. Several members of the SCC racing team were there to compete. in the criterium and road race. The results were as follows. In the CAT 4&5 race Shane Mathews placed 6th and Brian Steele placed 8th. In the CAT 4 race Lino Asiatico placed 4th, Kenny Gilead placed 18th, and Jorge Collado placed 20th. In the CAT 3 Marcelo Martino placed 6th and Heber Cristino placed 20+. Joe Stanley finished the “Chainbuster Green Gobbler” mountain bike race in 6 hour 47 minutes. He was running in 3rd place until his tire broke on him. We've posted the results for the 2014 Brooks Road Race on Saturday, March 8th. The winners of each category are highlighted in yellow as are the SCC riders including Taylor Dunn (Cat. 3), Lino Asiatico, Kenny Gilead, and Jorge Collado (Cat. 4), Shane Mathews (Cat. M45 - 45+), and Marcelo Martino (Cat. Masters 123 - 45+). We want to mention Charles Seward's 1st place finish in the Masters 123 - 55+ category. Charles races for his hometown team in New York but he's been an inspiration to many of SCC's new racers. We're very proud of all of you guys!